Second Skin Foundation provides sheer to medium coverage and feels like a second skin, not like makeup. This has a light feel on and it provided enough coverage to even out your complexion while letting your real skin still peek through, very similar to Urban Decay's Naked Skin Foundation. Setting to a matte finish it stays shine free for hours. Unfortunately for some of us, all of the shades are yellow toned. If you have cool or neutral toned skin you may as well skip this. They have 15 shades in all, for warm or deep skin tone's it's a nice lightweight light coverage foundation and you can't beat the price. 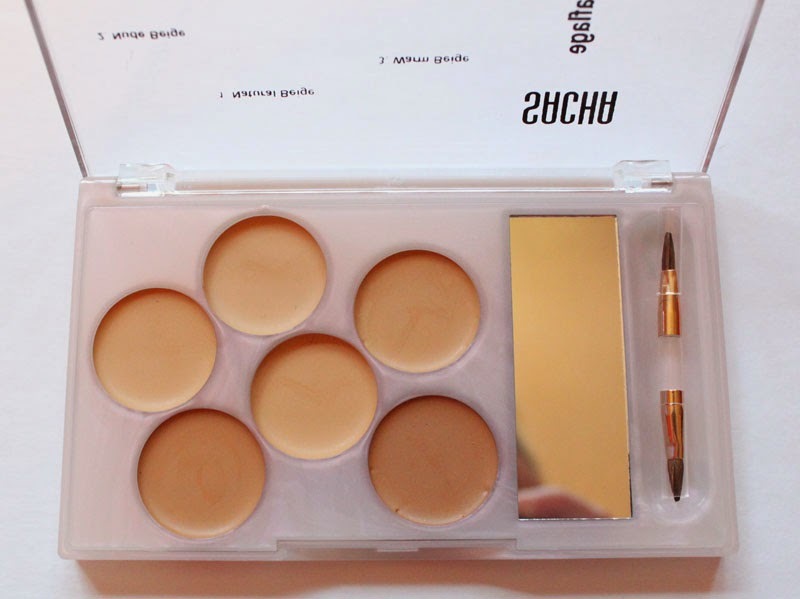 Each kit contains six closely matching shades. SACHA's Kamaflage Cover Cream foundations are silicone based and used to camouflage skin imperfections such as hyper pigmentation, vitiligo, tattoos and many more. This light-weight formula is water resistant and smudge proof once set with SACHA's Setting Powder and Fix It Spray. Choose from a light-to-medium or medium-to-deep kit depending on your skin tone. These are wonderful cream concealers, they're full coverage well while not looking built up on the skin. Though once again, all of them do lean yellow. This tester is great to have in your kit for covering a multitude of skin imperfections especially with it being so cheap. It's a lot like the RCMA/Cinema Secrets/Graftobian cream concealer type palettes. A water based finishing spray that sets and seals makeup.It is specially formulated to interconnect with the particles found in powder to create a long-lasting finish. 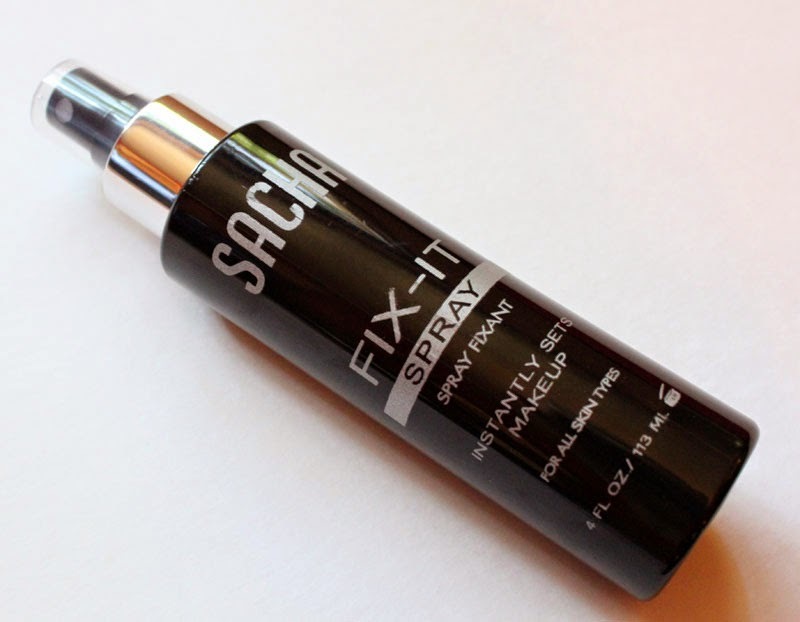 SACHA's Fix It Spray hydrates the face and increases the longevity of your makeup with a natural finish. Fix-It finishing spray is one of the most popular products, but I just couldn't get it to work for me. The spray nozzle, at least on my bottle, sprays out too much and it's like you've doused your face in product. I didn't notice my makeup lasting any longer or keeping shine away. Just didn't seem to do much. 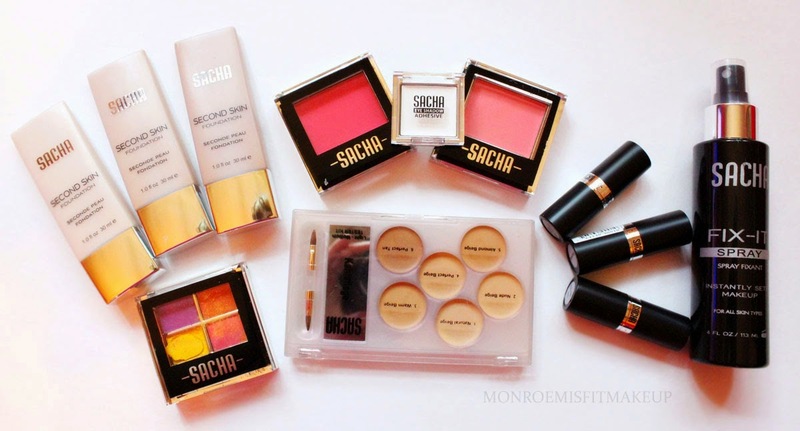 SACHA's color-rich blushes are easy to apply and available in a mixture of matte, metallic and pearlized shades. These highly pigmented blushes never fade and last all day long. Holy Bright. When they say highly pigmented they mean it. These are some of the most pigmented blushes I have ever used. I lightly swiped a duo fiber brush to apply and it was David Bowie staring back at me....and I freakin LOVED IT! You'll have to be very gentle with this blush if you're as fair as me, but they will do some serious popping on darker skintones. Melrose is an intense deep warm reddish-pink and Colour Me Coral a bright coral, both of these are matte and so silky. I can't believe these blushes are $10, they are 100x better than some higher end blushes. A professional white eye shadow primer that glides on easily to create a seamless canvas for the application of eye shadows. This lightweight eye primer allows eye shadow to adhere to its surface creating vibrant, crease-free color with all day wear. It is specially formulated to provide powerful eye shadow longevity and extra “pop” to any of SACHA’s highly pigmented eye shadows. Sacha's eyehsadow adhesive is a cream eye primer that goes on stark white. It really makes colors vibrant and despite being a cream base it didn't immediately crease. I used this under the Naughty Pearl Quad in the swatches below, as you can see it makes colors go POW! If you like NYX Jumbo Pencil in Milk, this is similar to that just packaged better and less creamy. Four-piece eye shadow kits with complementary and contrasting/ accent colors packaged in one convenient kit. These color combos have been specially coordinated by some of SACHA’s expert Makeup Artists. From soft, natural, pearlized shades to rich, vibrant and matte shades, these quads have excellent staying power and look “just applied” for several hours. They are available in Matte (M), Frosted (F) and Super Frosted (SF) Selections. My quad was slightly damaged in shipping, considering it came all the way from the Carribean and was packaged in a ton of bubble wrap I'd say it survived pretty well! Naughty Pearl is a matte quad with yellow, purple, red, and coral. Basically a Sunrise. The eyeshadow's apply beautifully and pigmented with out any chalkyness and they blend out easily. There is some minor shimmer present, but the shadows still look completely matte on. This color quad reminded me of higher priced one from another brand, but because I don't wear colorful eyeshadow any more I couldn't justify it. I'm very happy with Sacha's, it's exactly the matte bright colors I wanted and with the price I won't feel guilty if I never wear it. The colors you see in the pan are what you get on the eyes, look at that red! 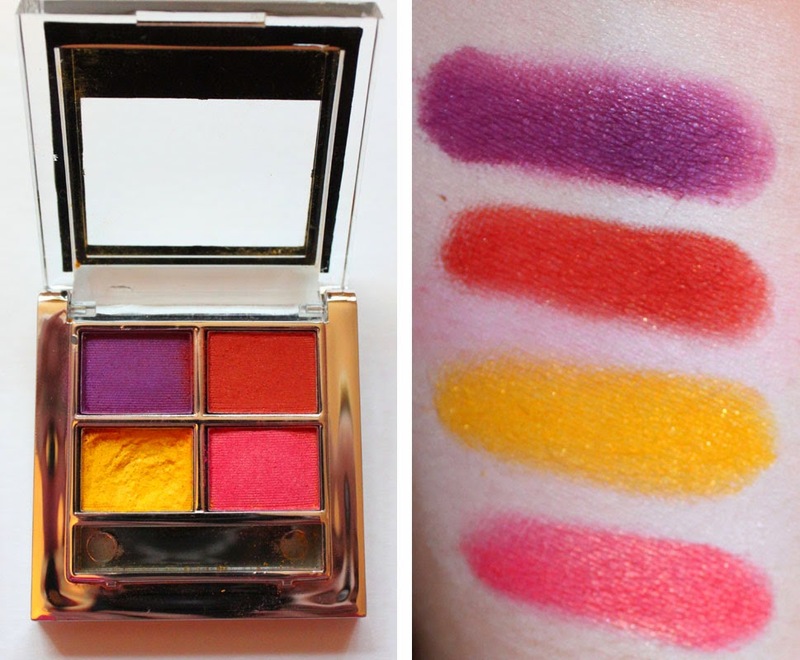 There's so many great looking color combo's to choose from in all of their eyeshadow sets. Available in 14 shades The only matte lipsticks that won't dry out your lips. These matte lipsticks hydrate while providing intensity that is long lasting. They are specially formulated to provide excellent coverage and brilliant payoff. This matte collection is high in pigment-concentration so color intensity and vibrant lips that last all day long are guaranteed. When matte lipstick is mentioned the first thought is often...drying. Not with these, they are light and balmy on. I'm sure most of you have the Revlon Colorstay Balms, that's how these feel on. Unlike most matte's these give your lips a soft look, up close it does appear to settle in to and enhance lip lines like almost all matte lipstick's tend to do, but unless you're taking a super macro shot it's not noticeable. Matte Me Red is a soft yet bright cherry red. 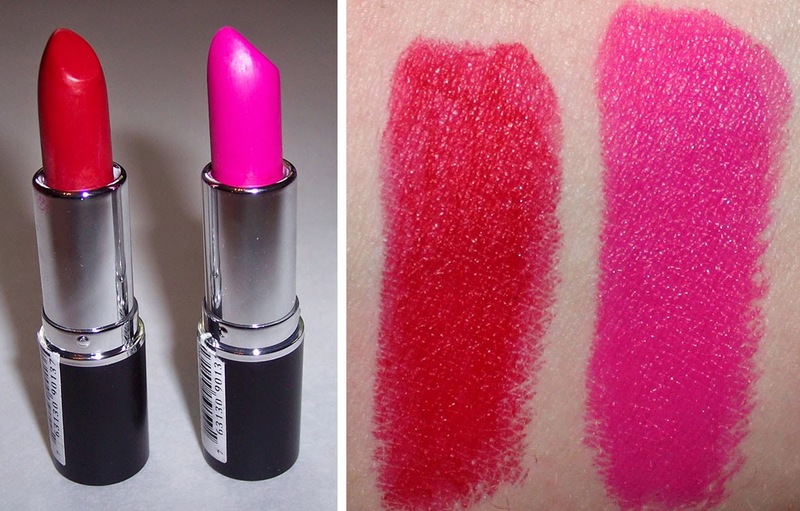 Matte Me HIP a deep vivid fuchsia, I have been looking for a color like this FOREVER. It's not straight hot pink but deeper with a blue undertone. Lasting power is great, at least 4-6 hours and there's no noticeable scent/taste to them. Finding a matte that's not drying is half the battle, these are comfortable to wear and have rich color payoff. I really really loved these lipstick's, six more shades are on my must have list right now...Ebony, Morange, Rich, Fushia, Nut, & Pout. How Sacha went undetected on my makeup radar until now I don't know, the makeup is Makeup Artist kit quality and it won't break the bank. My pick's..the adhesive, eyeshadow's, blush, and most of all the amazing matte lipstick's. Also, remember to use code MISFIT for 25% off your entire order!